We have been the principal resource in the development, innovation and administration of Competency Assessments for the Oral Health professions since 1969. Today, CDCA-administered clinical examinations are accepted in 47 states and jurisdictions in the U.S. and Jamaica. The CDCA develops, administers, scores and reports the results of its examinations in Dentistry and Dental Hygiene. 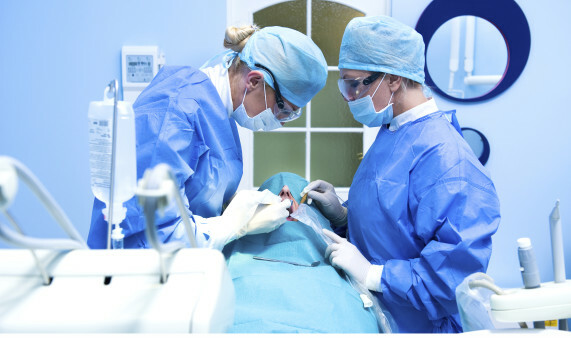 The CDCA offers Specialty Licensure Examinations in such specialties as Pediatric Dentistry, Orthodontics, and Oral & Maxillofacial Surgery for candidates seeking specialty designation in selected states. Continuing our reputation for excellence, fairness and service, NERB is doing business as The Commission on Dental Competency Assessments. On January 9th, 2015 the NERB became The Commission on Dental Competency Assessments. While our name, logo, web address and email addresses have changed, please note that the same commitment to testing excellence and quality remains. Additionally, past, present and future statutory and legal references to the NERB remain viable and synonymous with the CDCA. In 1968 there were 53 different licensure exams for US states and jurisdictions. In 1969, the North East Regional Board of Dental Examiners (NERB) was founded to facilitate the licensure examination process for candidates and eliminate the need for repetition of state board clinical examinations. The NERB quickly expanded from its original 8 member states/jurisdictions, eventually growing to include 24 member states/jurisdictions. In 2014, member states stretched from Maine to Hawaii, Oregon to Florida and Wisconsin to Mississippi. As a nonprofit, independent corporation, comprised of a consortium of member dental boards, the NERB sought to rename itself with a new name that more aptly reflected all of its members and its ongoing mission to further establish common examination standards, as well as the diversity of the types of assessments we offer state dental boards. On January 9th, 2015 the NERB became The Commission on Dental Competency Assessments. 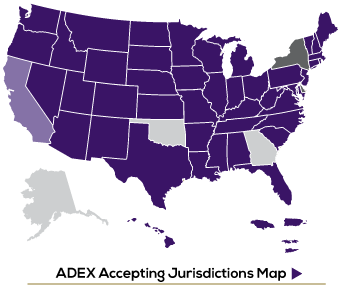 Today, The Commission on Dental Competency Assessments administered clinical examinations are accepted in 46 different US states/jurisdictions and Jamaica. The CDCA develops, administers, scores, and reports the results of its examinations in Dentistry and Dental Hygiene. The CDCA remains committed to serving boards of dentistry by designing and administering assessments that are based on sound principles of testing and measurement. The CDCA is pledged to excellence, integrity and fairness and strives to be a preeminent resource in the development, innovation and administration of competency assessments for the oral health professions.